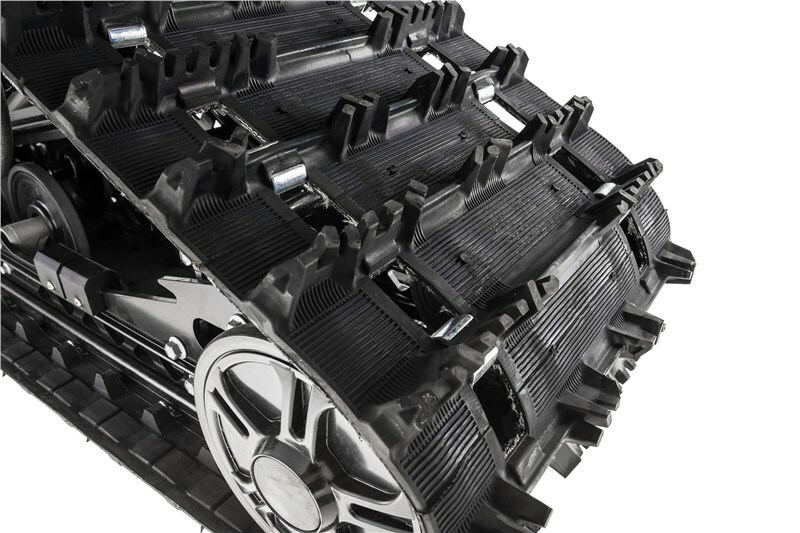 Based off the proven design of the SR 141 suspension, the Dual Shock SR 146 offers enhanced flotation and comfort thanks to its longer length and comfort tuned torsion springs and high pressure gas shocks at both front and rear arms. 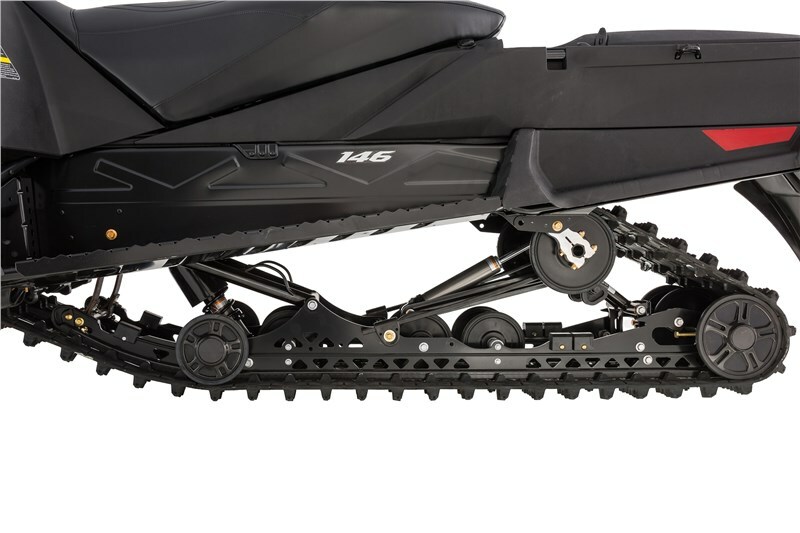 The lightweight suspension serves up excellent flotation off-trail but is primarily designed for on-trail duties with superior traction for exceptional acceleration and braking performance along with impressive bump absorption across a wide range of trail conditions, from freshly groomed to trail chatter to larger bumps and unpredictable terrain. 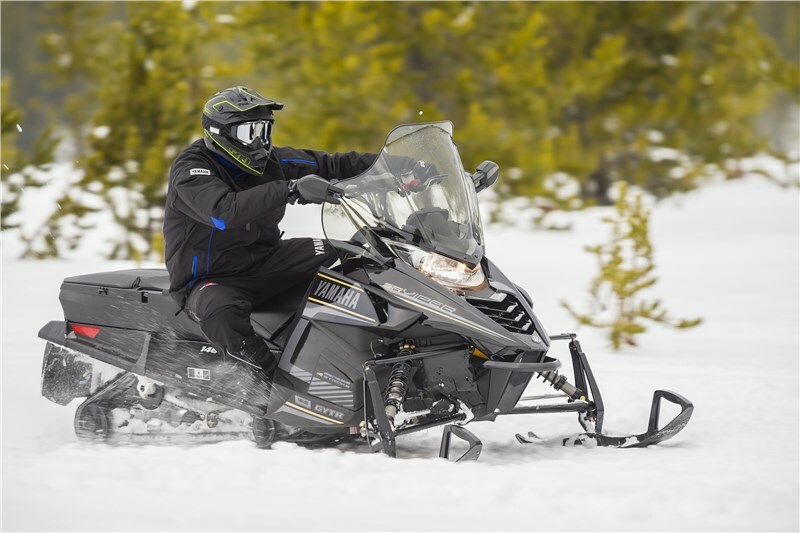 A rear-mounted fuel tank with a capacity of 4.6-gallons dramatically extends range for those who crave long distance riding without stopping. 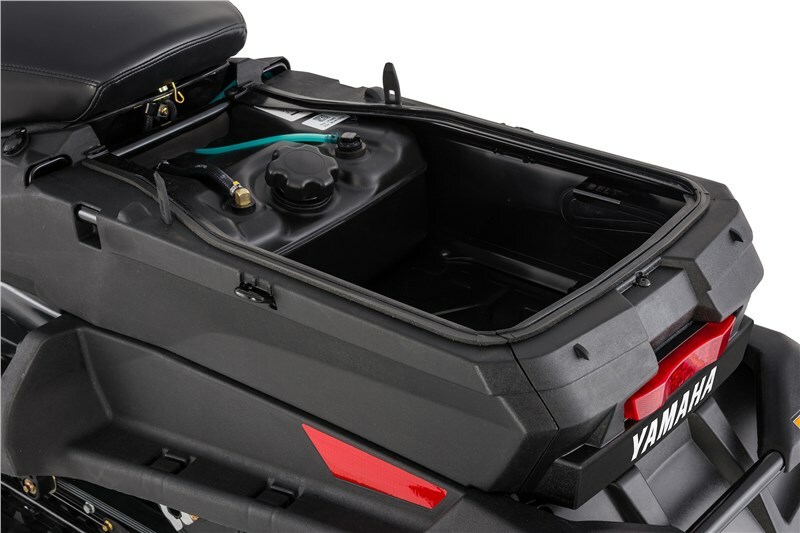 The system is designed to use fuel from the auxiliary tank first, thereby keeping the vehicle balanced. 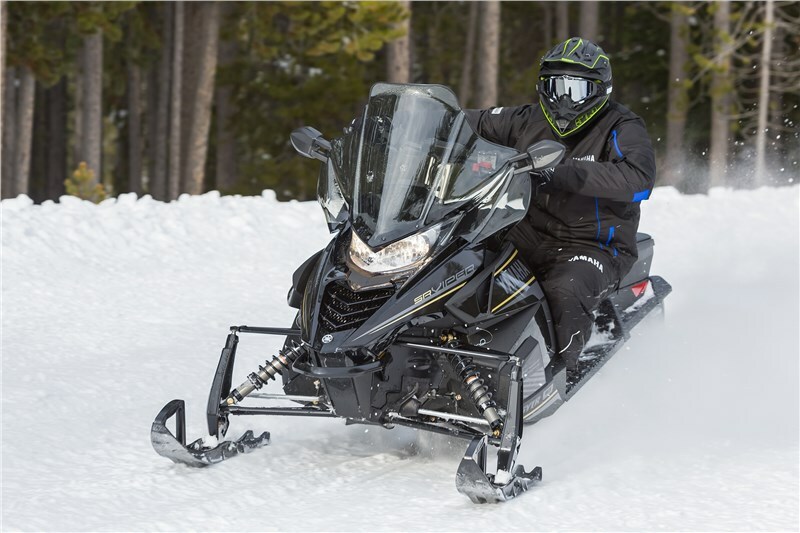 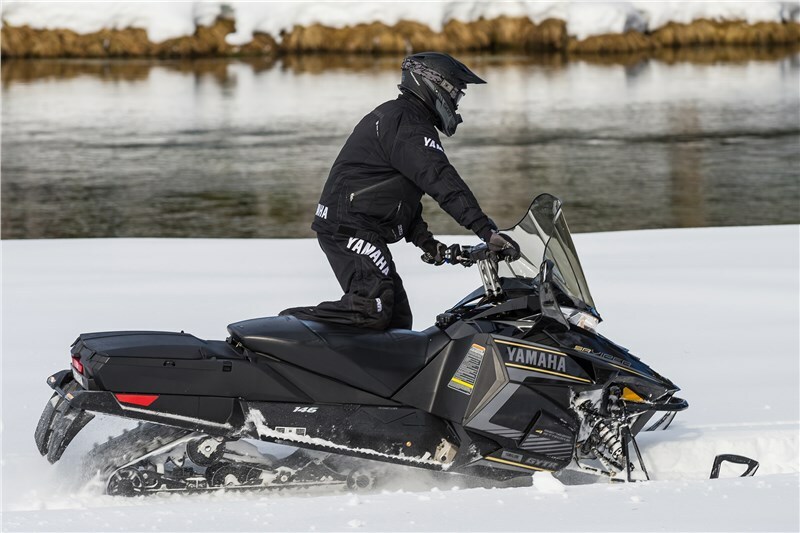 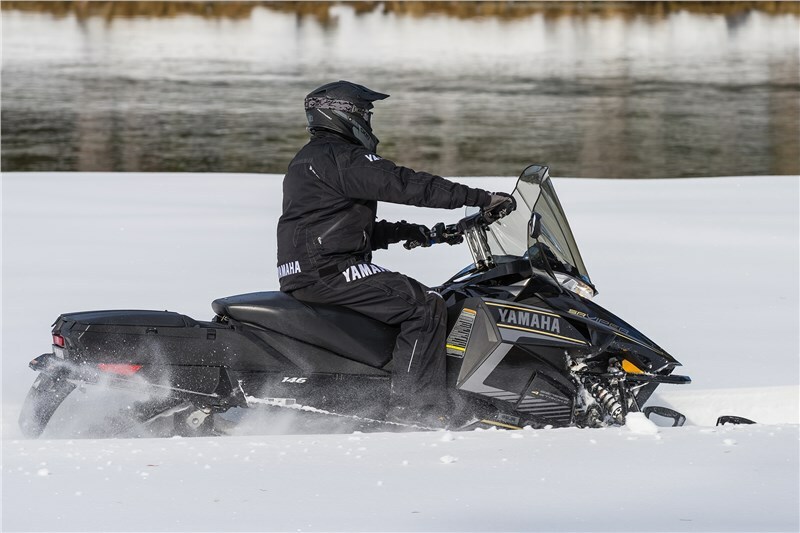 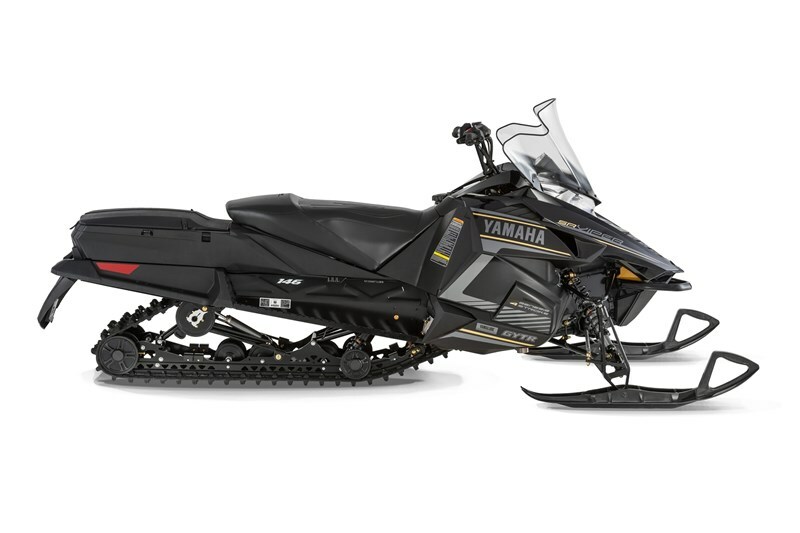 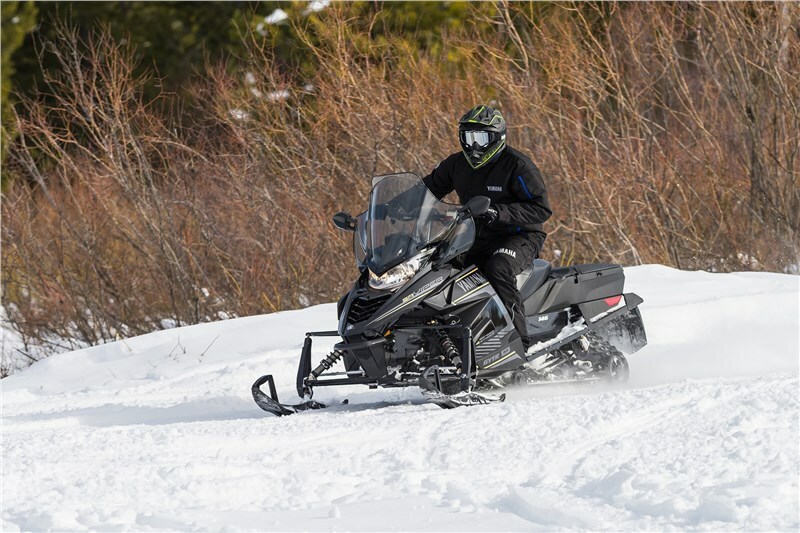 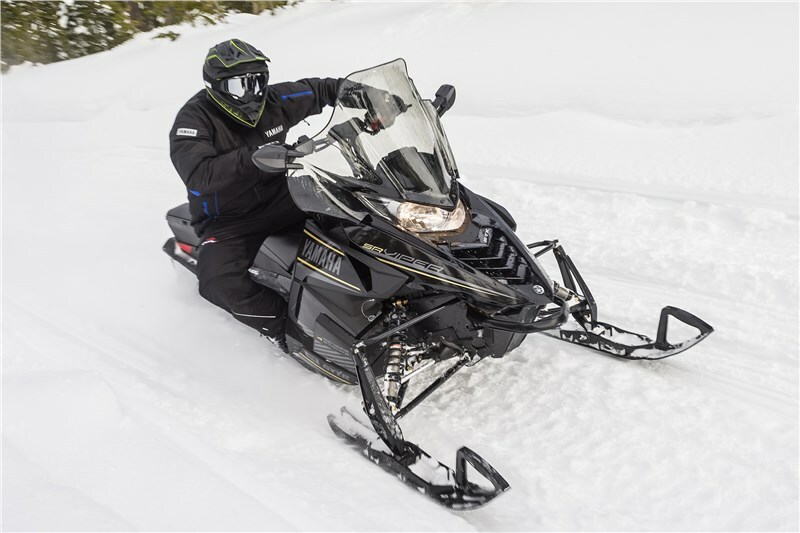 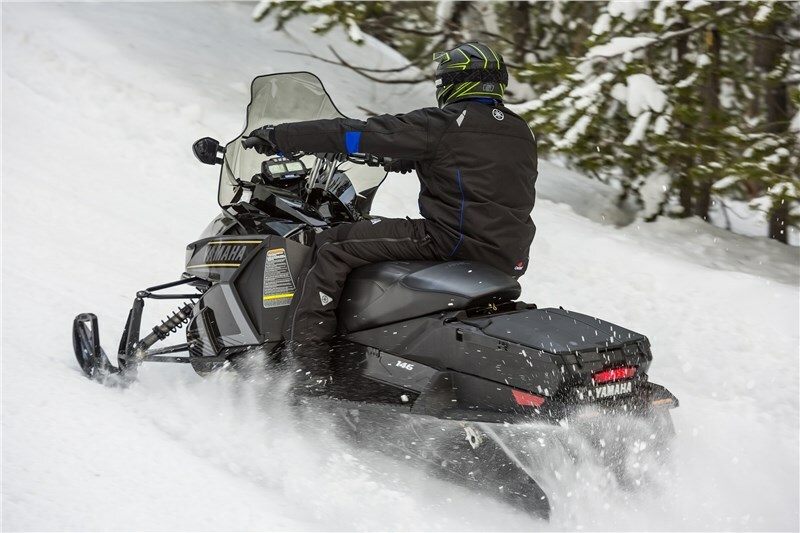 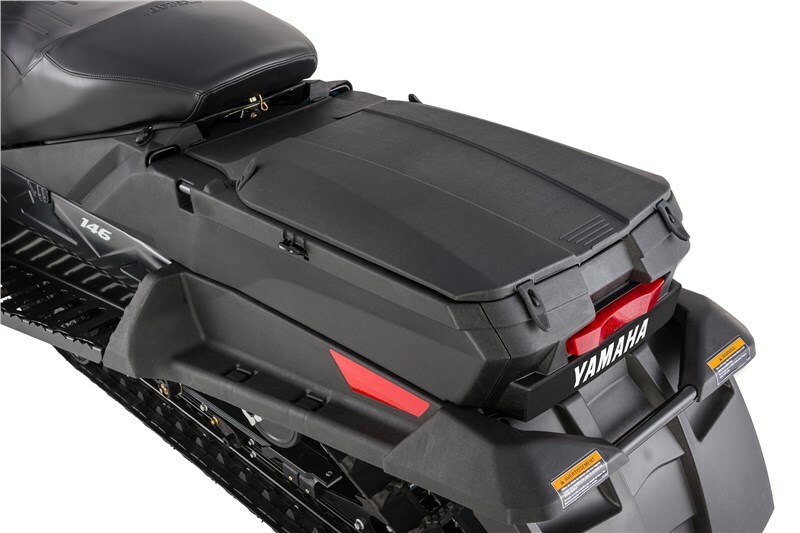 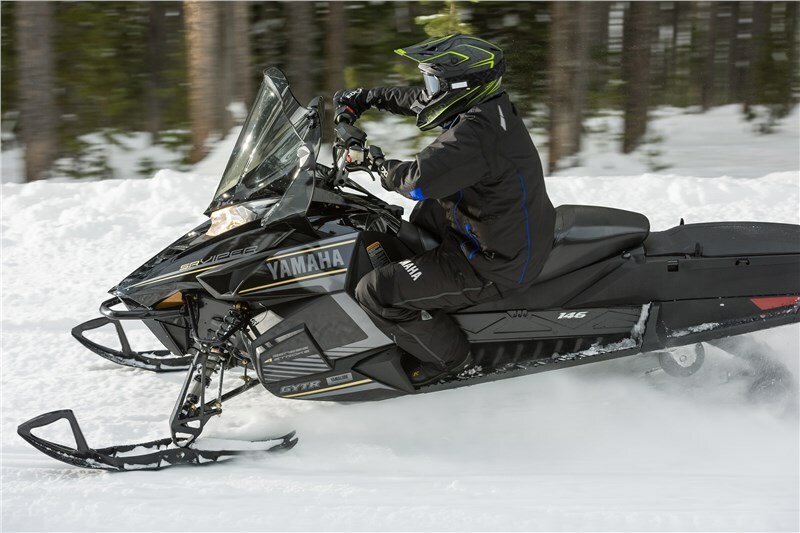 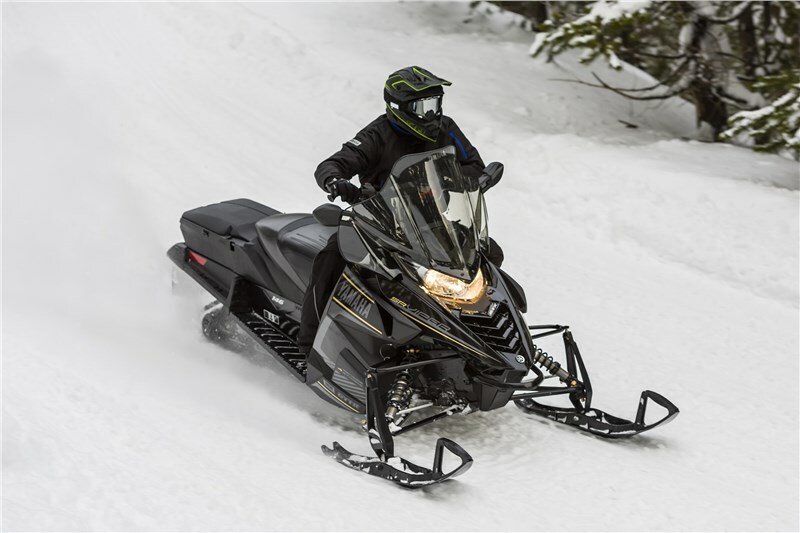 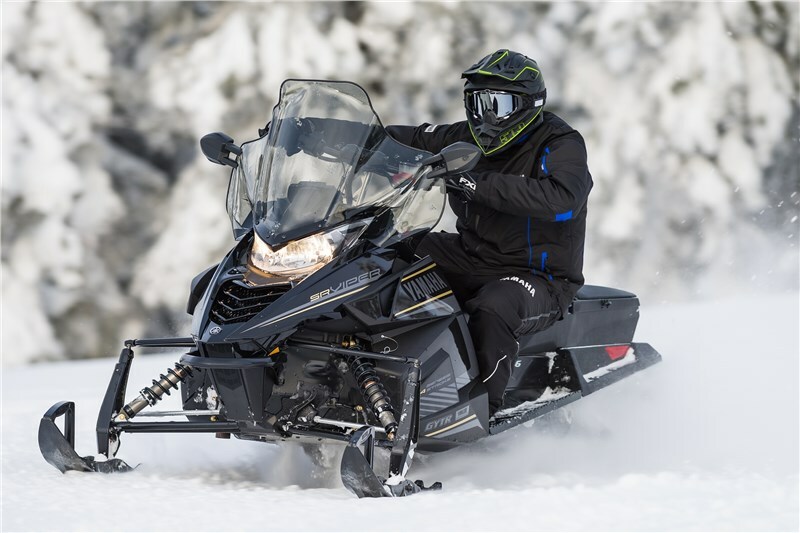 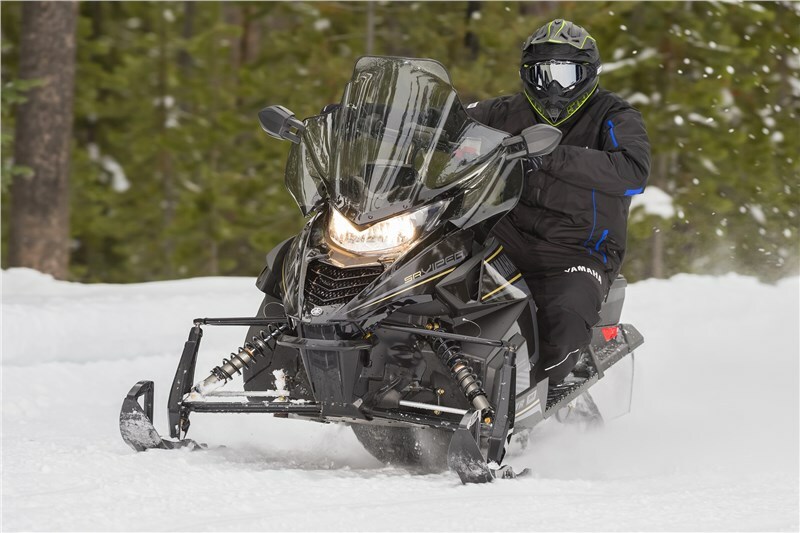 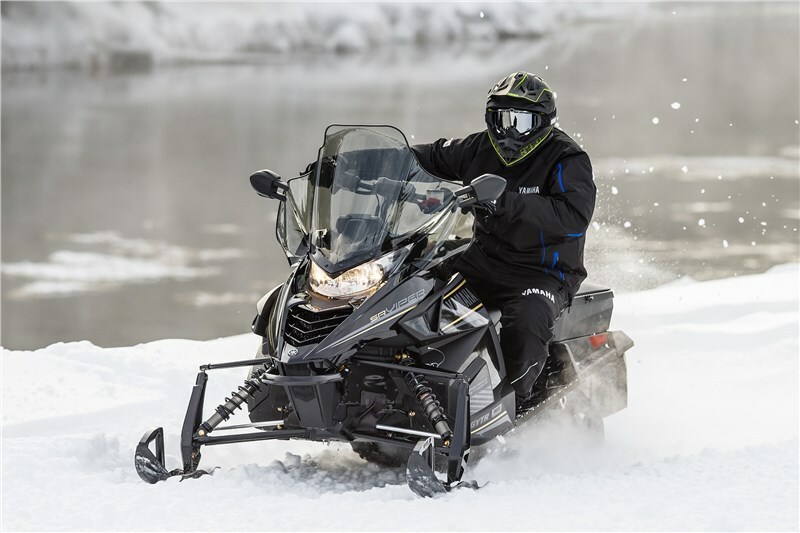 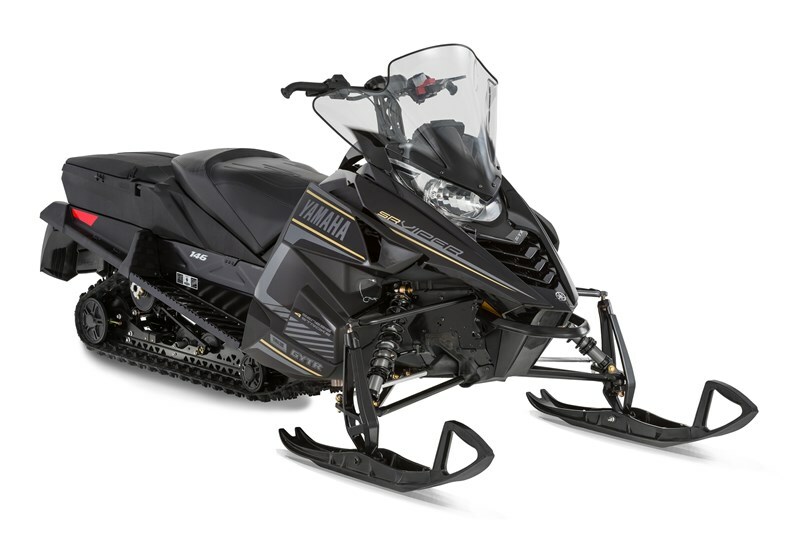 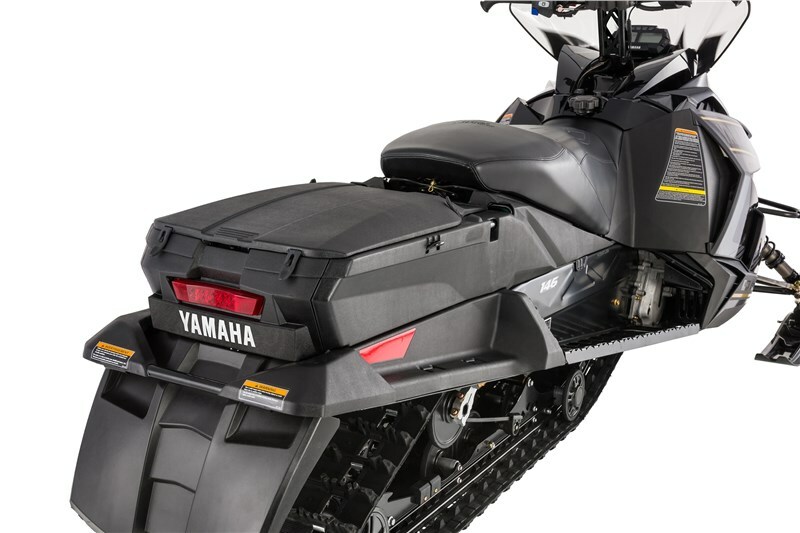 In addition, a rear mounted storage area adjacent to the tank offers extensive space for additional gear and features a quick latch cover to keep gear out of the elements while blending seamlessly with the overall lines of the snowmobile. 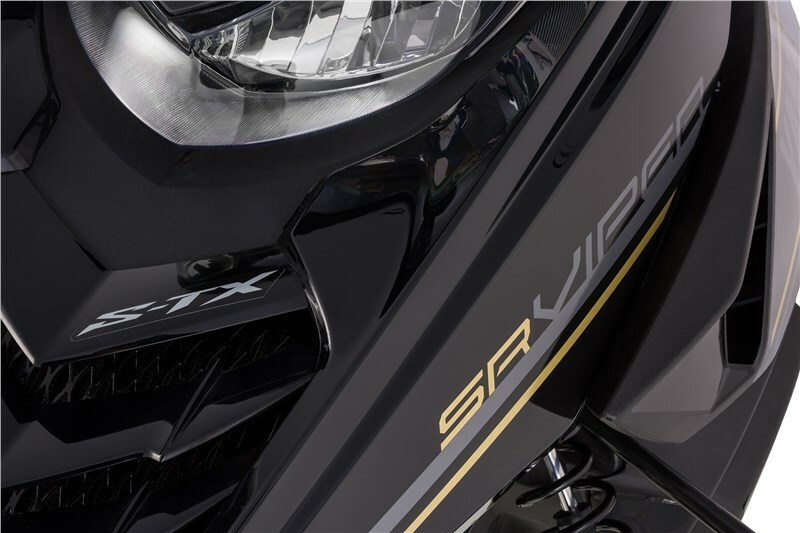 An extra tall windshield offers premium protection from the elements and incorporates mirrors that effectively gives you a view of your riding partners without having to take your eyes of the trail that lies ahead of you.